The Mornington Peninsula has the most talented and amazing array of florists to choose from – all who can help you with your wedding day floral vision. Be it a small open air soiree where only bouquets and floral touches for the ceremony site are required to large scale marquee and reception venues, where larger floral installations may be suitable, along with table centerpieces and cake embellishments. Our florists have the expertise and knowledge to work with you to fulfill all your floral needs, whilst remaining mindful of your budget. Details from your wedding are a rich source of ideas, where colour often plays the deciding role. Perhaps bring a photo of your dress or a fabric swatch for your florist to view, to help communicate your vision. Visuals will ensure you and your florist are on the same page. These days most blossoms are available year-round from our florists, but the flowers that are most affordable and best looking are the ones in season. Blooms that must be imported cost more and leave a heavy carbon footprint. Think about the region where you are getting married and incorporate some local elements, such as bluegum or moonah. Native flora and an abundance of greenery are very popular choices for weddings, as they bring in the natural world and have a cooling effect – great for a hot summer’s wedding day. Express yourself and your sentiments and expand far beyond the iconic all-white arrangement. Create an impact with a clutch of blooms that is not just a lovely accessory but also a work of art that’s as unique as your personality and your sense of style. Your flowers should look beautiful, photograph well and fit in with the theme of your day. 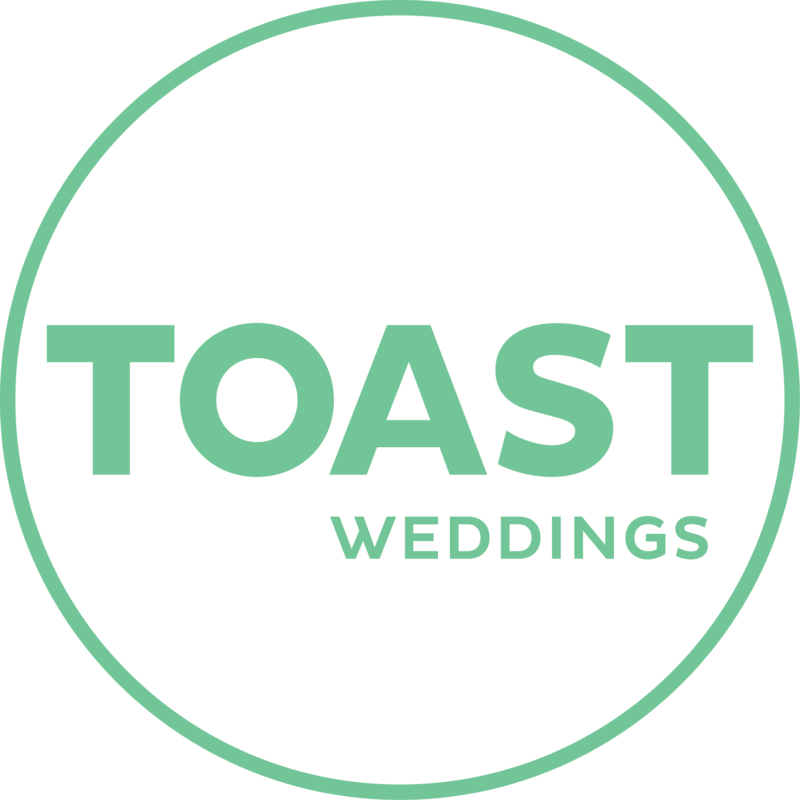 Make it a joyous part of your wedding planning and look to TOAST for inspiration.